Warning: There is black ice on the roads this morning with temperatures around 28 degrees. Several accidents from the black ice have been reported on Highway 101. The eastside of Paso Robles has experienced power outages from a downed power pole on Linne Road. 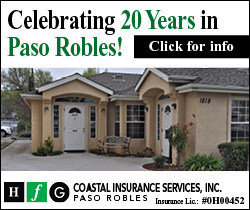 The road is reported closed about a mile east of Paso Robles. 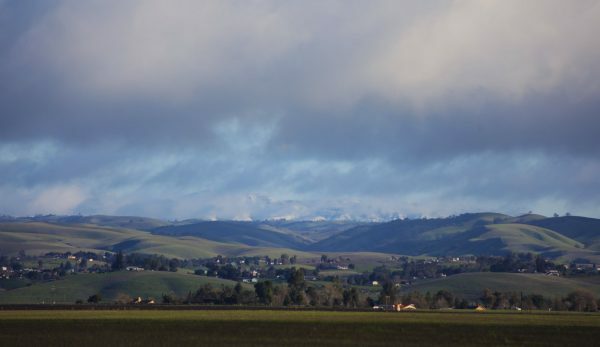 Snow on the mountains behind the Paso Robles airport photo by Trisha Butcher. There was also snow reported in Creston, as well as a small flurry at Hearst Castle in San Simeon, according to weather reports. 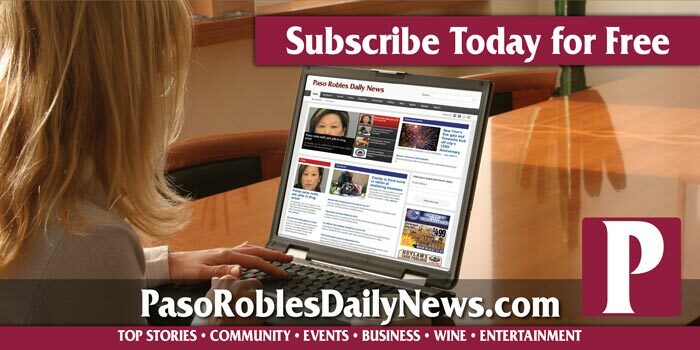 Freezing nighttime temperatures are expected in Paso Robles in the next few days. To view a forecast, click here.